The ICORIA 2015 extended deadline is fast approaching. The 14th International Conference on Research in Advertising 2015 will be held in London, UK in July. The extended deadline for abstracts is fast approaching. 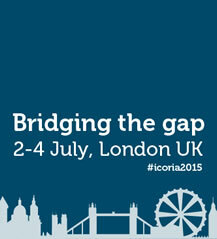 If you are interested in presenting your work at ICORIA 2015, please submit a five page summary of your paper by 22nd March 2015 to: papers@icoria.org. The full call for papers and the style guidelines can be found here. The EAA is happy to announce that Professor Martin Eisend will be one of the speakers at this year’s doctoral colloquium. Martin’s research activities focus on consumer behavior, in particular processing of advertising messages, effects of marketing communication on consumers, and societal issues of marketing communication. 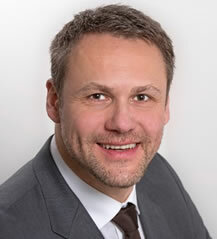 Martin, you will be delivering an interactive lecture on meta-analysis, what can you tell us about it? By attending the interactive lecture, participants will learn what a meta-analysis is, when to apply it, and how to conduct a meta-analysis. Most PhD students provide an extensive review of prior research in their thesis. This is actually the first step of a meta-analysis and several PhD students who have attended a meta-analysis lecture have used the literature review to successfully conduct and publish a meta-analysis. I hope that some of the participants of this lecture might get hooked on meta-analysis too. You are also guest editing a special issue on Re-Inquiries in Advertising Research in Journal of Advertising, why are they needed? In advertising and communication, there are too many single-shot studies, which are uncritically accepted as fact. Findings from a single study can be conditional, context-dependent, suffer from sampling error or from questionable research practices. Our theories need a strong empirical foundation, otherwise they are not trustworthy. This is why we need replications and, of course, meta-analyses that are based on replication studies. Why should PhD Candidates apply for the Icoria Doctoral Colloquium? The ICORIA PhD colloquium is a unique opportunity to acquire professional skills for an academic career in our field. It is a perfect way to connect to peers and seniors, to exchange ideas and experiences, and to build and extend a research network. And I heard it's fun too. The European Advertising Academy (EAA) is seeking nominations for the inaugural Flemming Hansen Award. This award honors a scholar who has made contributions to distinguished scholarship in advertising research. Specifically, the EAA will recognize an author of one or more publications that had a significant impact in the field of advertising. The 2015 recipient will be announced at the Gala Dinner of the 14th International Conference on Research in Advertising (ICORIA) in London on July 3, 2015. Please see the conference call for papers (.pdf) for more information. Please send nominations and any questions related to this award to the Selection Committee Chair, Peter Neijens, at P.C.Neijens@uva.nl. Include the candidate's CV with the nomination letter, which should describe significant contributions to distinguished scholarship made by the nominee (maximum one page). Nominations for the 2015 award must be received by May 1, 2015.